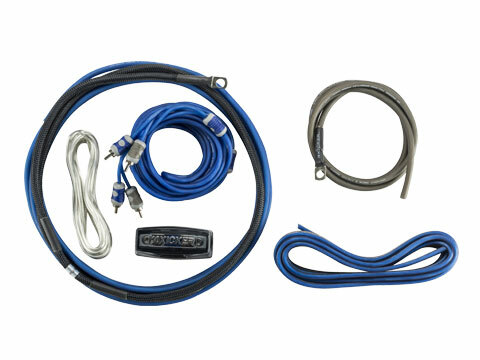 KICKER® complete amp kits feature top-quality Hyper-Flex power, ground and turn-on cables. K Series speaker wire and interconnects are also included, as is a heavy-duty AFS fuse holder and fusing. Insulated crimp connectors and zip ties come in the kit as well. One additional year of amplifier warranty is included if purchased with a KICKER amp. 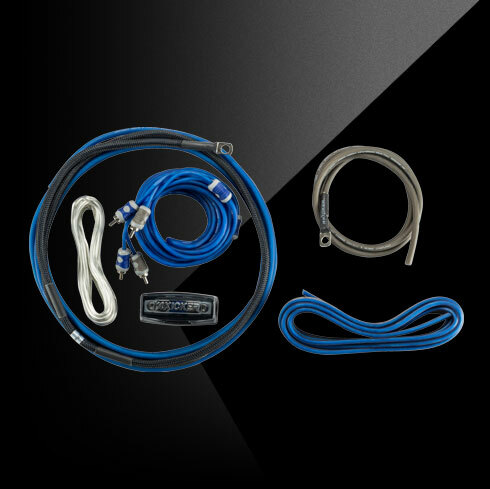 This Complete Eight Gauge Amp Kit comes complete with Full Spec wire, hardware, fusing and signal cable. Hooking up an amp is easy when get everything you need in one place. The best hardware, signal and power cable comes in one convenient package, plus get an additional year of warranty when you buy a Kicker amp with this kit. FHS fuse holder with 60 amp fuse L=3.06", W=1.33", H=1.32"